Will I Be Able to Play Sports after a Spinal Fusion? Whether it’s directly related to sports activities or due to another reason, it’s not uncommon for athletes to experience severe pain in the back. When athletes require spinal fusion surgery to alleviate chronic and persistent back pain, one of the most common concerns is whether they’ll be able to engage in their regular athletic activities after the fusion has been performed. First, they need to recover. Three months is the average time it takes for a spinal fusion to achieve its intended maturity, so returning to sports immediately isn’t a realistic option. Here are a few things to consider when it comes to playing sports after spinal fusion surgery. Will You Need to Restrict Your Activity During Recovery? 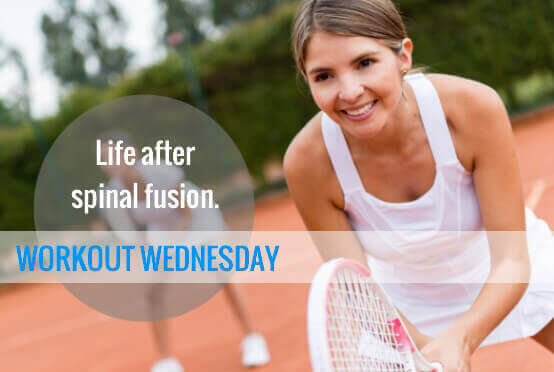 Spinal fusions need time to heal and become settled, which means your doctor will likely recommend restricting physical activity while you’re recovering. You’ll need to avoid lifting heavy objects, bending and twisting your lower back, and playing sports, as high-impact activities could damage the fusion. What Are the Determining Factors for Returning to Sports? The back has a supportive muscular envelope that can provide protection against further injury. However, every person is different. Your doctor will need to consider a variety of factors before allowing you to return to playing sports, including your height and weight, muscularity, and other anatomical features. Another factor is the type of sport you play. However, most sports tend to be too high-impact to return to right away, and to avoid a lawsuit your physician may be cautious about telling you it’s safe to play your chosen sport. Though there has been much research on when it’s safe to return to sports following a back surgery, the result are inconclusive. The decision ultimately comes down to a patient’s individual capabilities. Minimally invasive spine procedures are starting to become more commonplace, and as a result the recovery times may be reduced, allowing athletes to play their sports again sooner rather than later. More than any other determining factor, closely following the post-operative care instructions is the most crucial. Even when your doctor has given you the go-ahead to play sports again, you’ll need to make sure you avoid risks when playing, use the correct protective equipment, and report any pain you’re experiencing at your next doctor visit. Are There Non-Fusion Alternatives for Athletes? Minimally invasive surgery isn’t the only option. There are also a wide array of non-fusion procedures designed to promote faster healing, reduce operative time, and allow athletes to maintain their range of motion. If you’d like additional information on non-fusion spine surgery, reach out to Dr. Hyun Bae and his team of experienced spine specialists at The Spine Institute. Dr. Bae specializes in minimally invasive and non-fusion procedures, providing active patients with the best chance for returning to their sports-filled lifestyles without the burden of chronic pain.To schedule an appointment, give us a call today at (310) 828-7757.